a change in season. there is always time to soak in the changes that are happening around you. the sun being around for longer. the wet skies that are turning the grass green and causing the flowers to bloom. it is a hazy time some times, but it is one that brings new growth. this year our family has been through many changes and transitions. it is something i usually don't shy away from. i welcome change, because like i said change usually means new growth or new circumstances. it is a time to decide who you want to be in this phase of life. to choose which direction you are headed towards. i say head towards the horizon where tomorrow awaits. where the sun is still shining. the sun sets are full of blush and the greens are weak and pale. spring is coming forth and i am ready for life to bloom! it's a rich life. 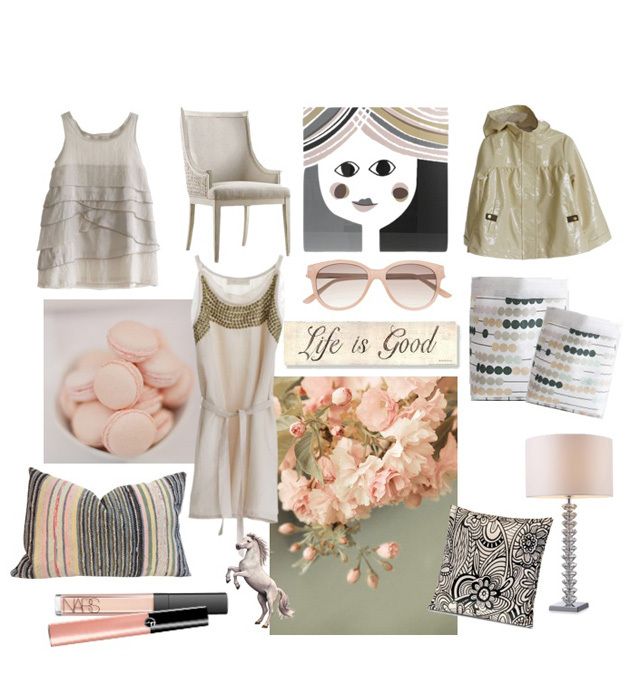 sponsor highlight || mini boutique :: loving the spring atmosphere that this mood board creates. muted colors with soft statements. rainwear and dresses for the seasons coming ahead. i am ready to change up our home as well as my wardrobe with soft, warm tones. i love these dresses by pale cloud they are feminine and romantic. perfect for the wedding season that is quickly approaching us. i always love when a wedding the bride utilizes items that can be used for more than a single occasion. you can find these dresses in the perfectly curated mini boutique. they have the most beautiful selection of children's wear. and i love their beautiful website! they carry unique brands and choose the most brilliant pieces. mini boutique is also is the only pale cloud carrier in canada, which is an exciting opportunity for you to buy unique items that you won't see just anywhere! my spring board was inspired by these 3 pale cloud favorites alma dress || elfie dress || jean raincoat make sure you pop over to their site, because they also have amazing finds like this baby swaddle by sweet dreams and flying machines and another favorite of mine this stella mccartney bunny jumper.